One Off Show at Popeye's with Tyvek, Terrible Twos and Estrogen Highs! I complained once when I missed Tyvek back in March of this year that they wouldn't be coming around to CT again anytime soon. As usual I was wrong. But, also as is usual, I am stuck at home this Friday night. Anyhow, this is a quick one off at Popeye's. There might be some more, there might not be. Enjoy the show you bastards. 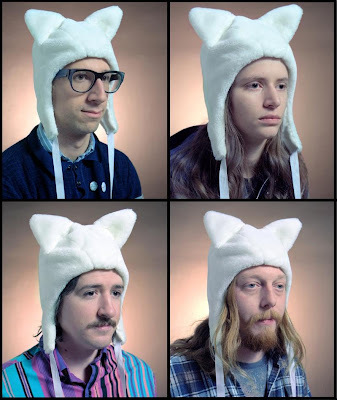 Oh, E Highs will be putting out a new LP and going on a US tour through January 2011. The kick off show will be on December 18 at Cafe Nine! This should be great. Tyvek's new LP is one of the top 3 of the year for me.